Travelers’ customer satisfaction ratings are average or lower. Travelers has fewer customer complaints than the median relative to its size for auto and home insurance. Places 11th out of 24 insurers in NerdWallet’s rankings of the best car insurance companies. Travelers is one of the most enduring and well-known names in insurance. It’s among the nation’s largest providers of home and auto insurance policies. If you’re looking for an in-person experience with an agent and want to buy multiple products from one provider, Travelers might be a good fit. In addition to standard coverage options, Travelers has additional auto insurance options available. Gap insurance protects your auto lease or loan. If your car is totaled before it’s paid off or the lease is up, Travelers pays the difference between your loan’s balance and the car’s value when it’s totaled. Ridesharing insurance is available from Travelers in Illinois and Colorado for people who drive for companies like Uber or Lyft. Ridesharing companies usually pay for some liability when drivers are en route to pick up a passenger and until drop-off, but not in between rides. IntelliDrive uses an app to track your driving speed, the time of day, and braking and acceleration habits for 90 days. It’s available in 31 states. 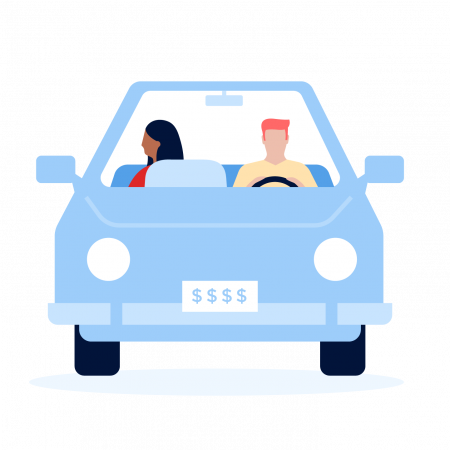 At renewal, you can get a discount of up to 20% for good driving — or your rates could go up if you have risky driving habits (except in certain states). Premier New Car Replacement can benefit you if your car is totaled and is five years old or newer. This coverage pays to replace the car with a brand new one, plus includes gap insurance to pay off any loan or lease balance when the car is totaled. If your car’s glass needs to be repaired, enrolling in this program means you could have a lower deductible. Travelers’ Responsible Driver Program offers two types of forgiveness: One accident and one minor violation are forgiven every 36 months, so your rates won’t go up after a crash or ticket. The Premier Responsible Driver Program includes the above accident and violation forgiveness perks, as well as a decreasing deductible ($50 off for every six months accident-free, up to $500 off your deductible). If your car is totaled, your deductible is waived in this program. Contents replacement cost: Pays to replace your items with new ones, rather than paying the depreciated value of your old items, if they are stolen or damaged by an event your policy covers. Valuable Items Plus: If your extra-valuable belongings are stolen or damaged, this extra coverage guarantees you can replace them. It can cover items like jewelry, computers and musical instruments. Coverage for water backup pays if your house is damaged when water backs up through your sewer or drain, or overflows from your sump pump. Identity fraud coverage pays up to $25,000 for costs related to restoring your identity if you are the victim of identity theft, with no deductible. Green home coverage will help repair, replace or rebuild with green materials after you file a claim. Travelers’ financial strength is “superior,” according to ratings agency A.M. Best. Financial strength is important because it indicates how well an insurer can pay claims. Travelers had fewer than the median number of complaints to state regulators for auto and home insurance in 2018 relative to its size, according to the National Association of Insurance Commissioners. Website: Travelers’ login portal lets you access all of your insurance information, pay bills, track claims and more. Elsewhere on the website, you can get advice on topics from driving in icy conditions to preventing flood damage. Mobile app: You can pay bills, file a claim, call for roadside assistance and view policy documents with Travelers’ mobile app, available on iOS and Android. Voice assistant: If you have a device that uses Amazon’s Alexa virtual assistant, you can manage your Travelers account with Alexa.